Tektronix made some nice programable graphics terminals in the 1970's. 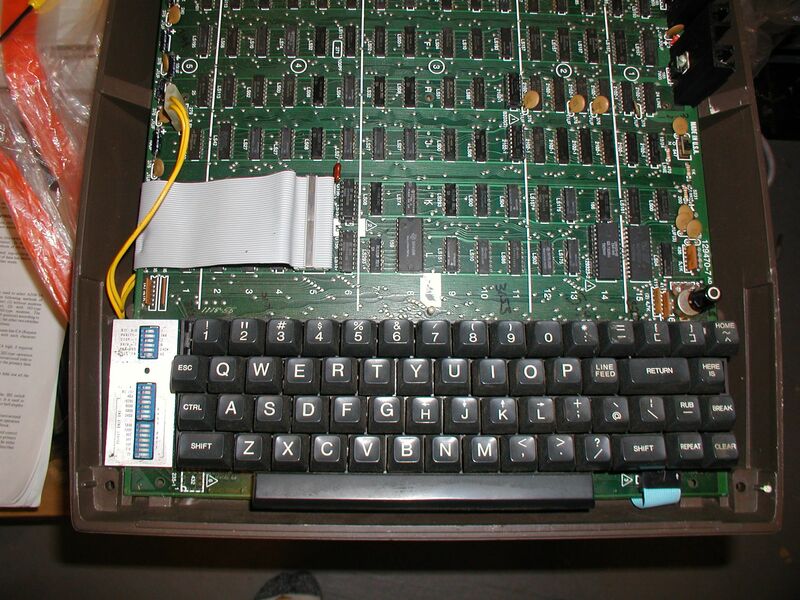 I believe I have the correct controller card for this terminal in my DEC industrial/11, but I have to experiment with it. 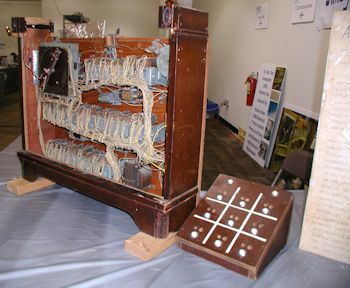 Click image for larger view. 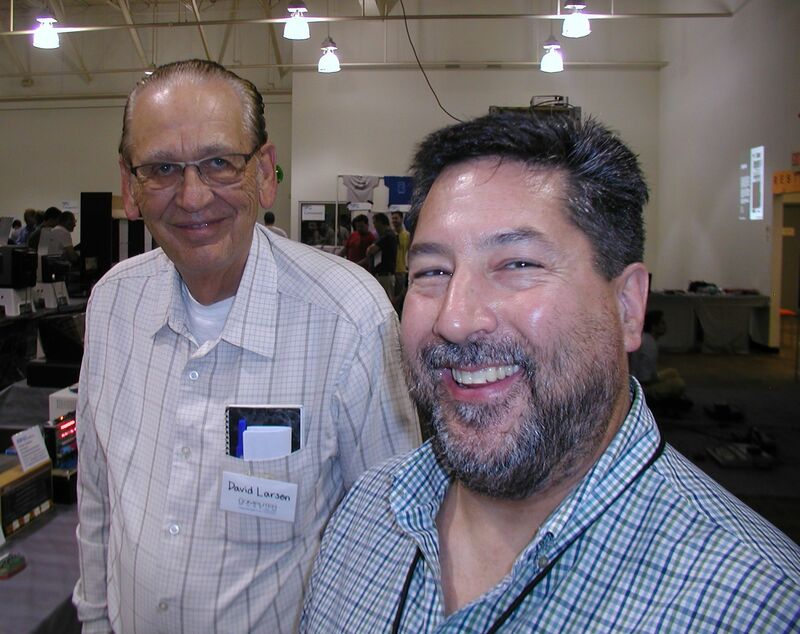 David Larson and David Greelish smling for the camera at the Vintage Computer Festival South East brought to you by the Atlanta Historical Computing Society (AHCS) and hosted by the Computer History Museum of America, Roswell, GA. Click image for larger view. 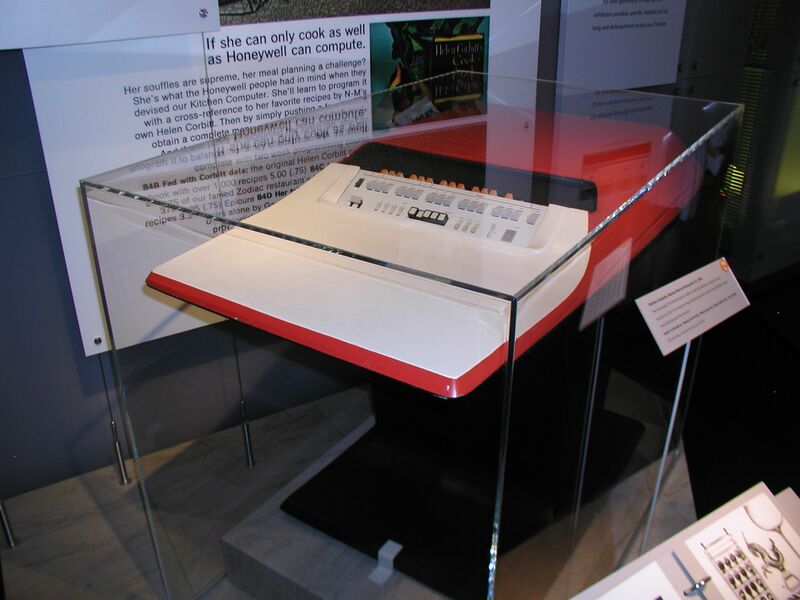 A Binary Digital Logic Computer by exhibitor Jim B. Steiner. Click image for larger view. 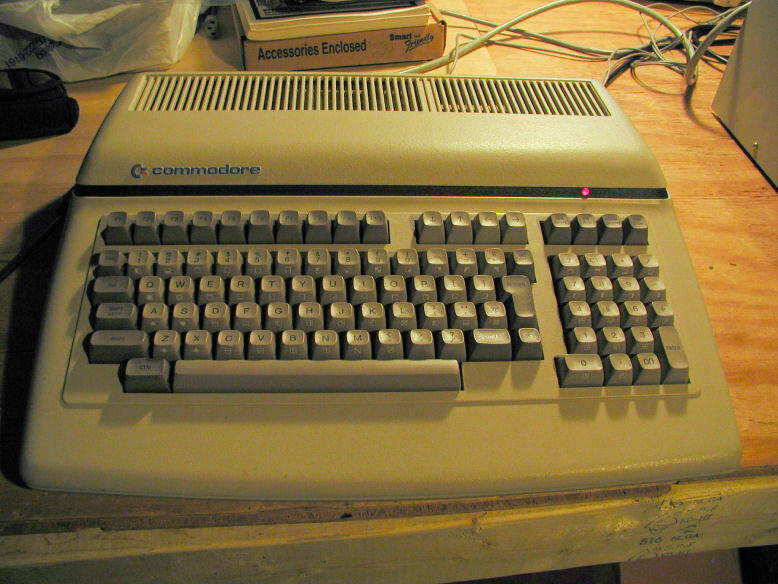 The Commodore 264 Series - C116, C16 and Plus/4 Computers Video: https://www.yo...ch?v=s7Jf402LDa0 The video has photos from this site of my C-116's motherboard, (~5:30). 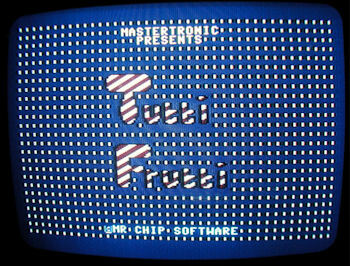 Screen shot from my C-116 (upgraded RAM) running the Tutti Frutti game. Full color. 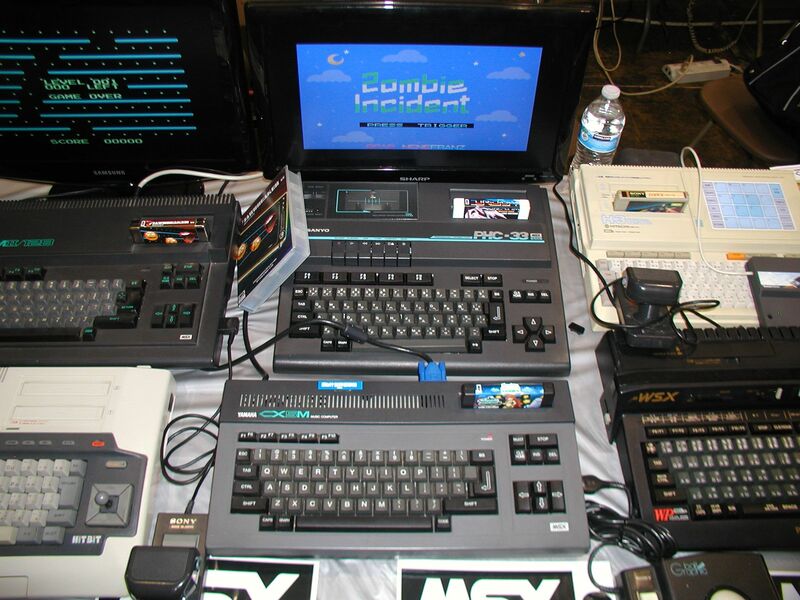 Somewhere in there is an Amiga 2000. Click for larger view. 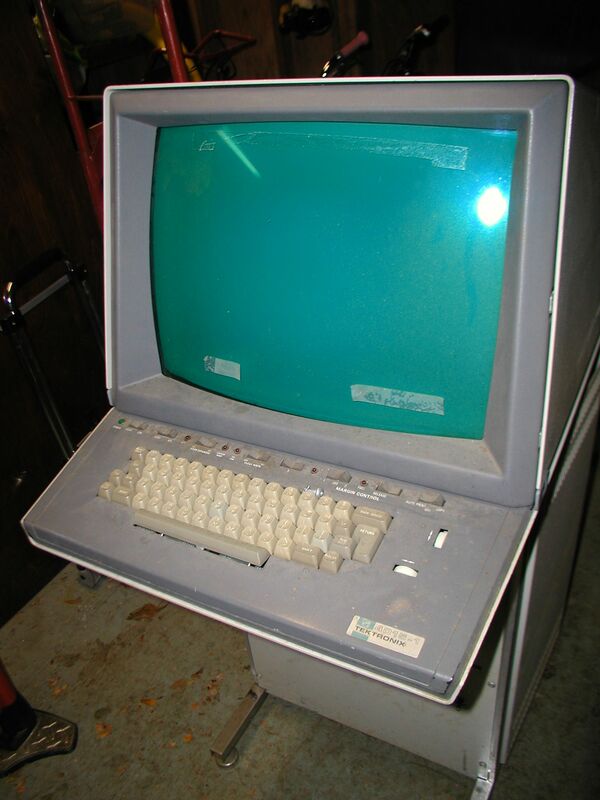 You can't tell from the outside, but this is a Lear Siegler ADM-3A terminal with GraFix add-on board installed. 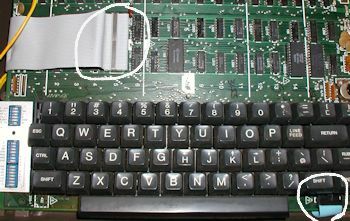 It also has a numeric keypad adapter cable that appears to have been cut off. 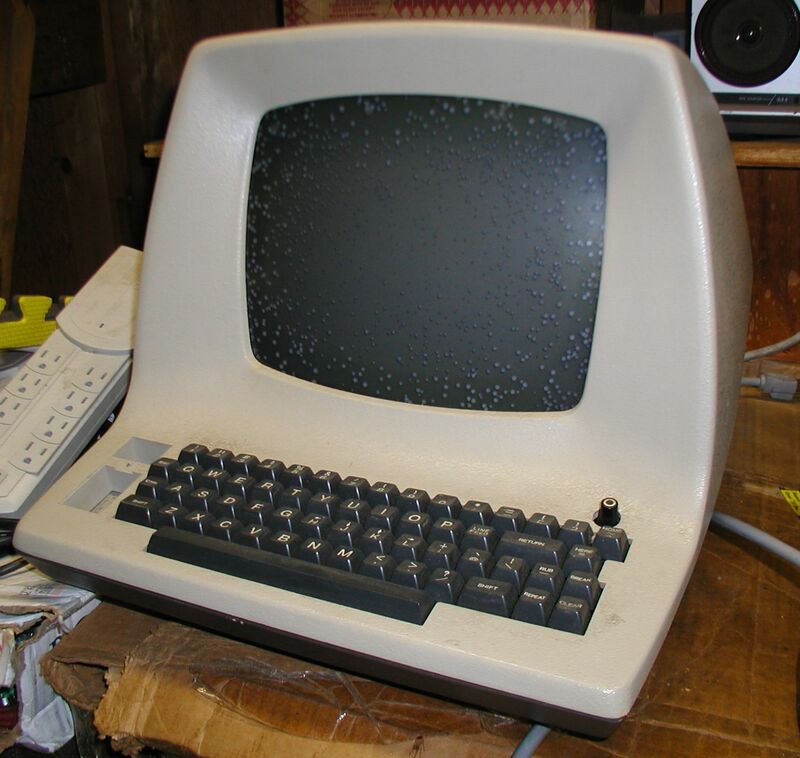 The terminal has the typical screen rot bubbles of an ADM 3. .Click image for larger view. 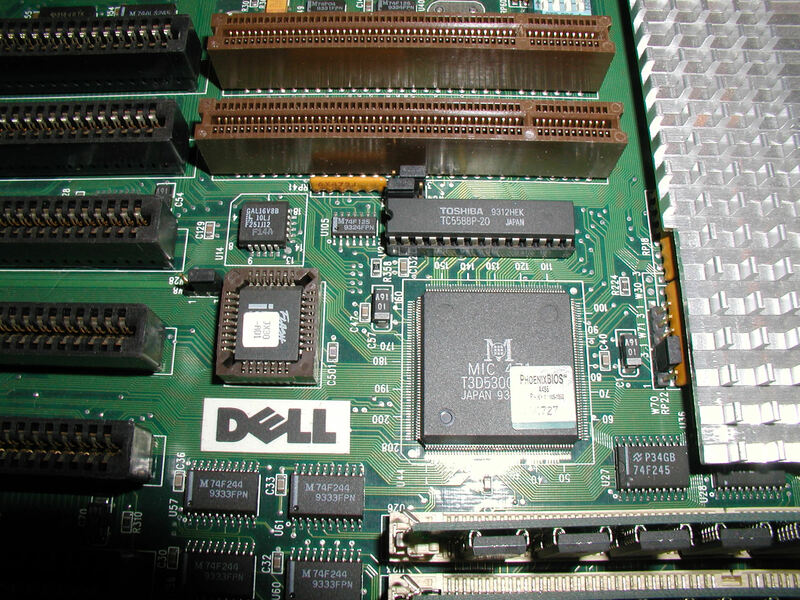 Note the cables connecting from the main board to the GraFix board installed underneath. Click image for larger view. 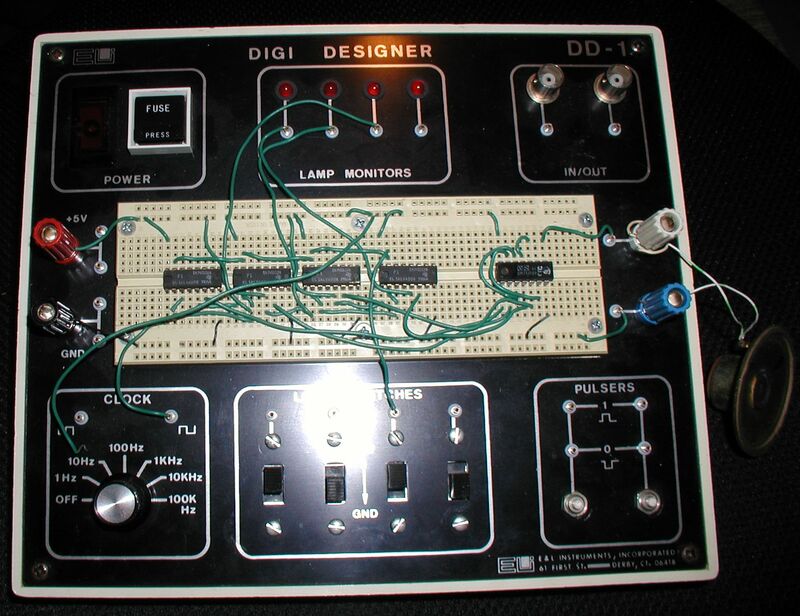 The E.L. Instruments Elite 2 Circuit Design Test System. 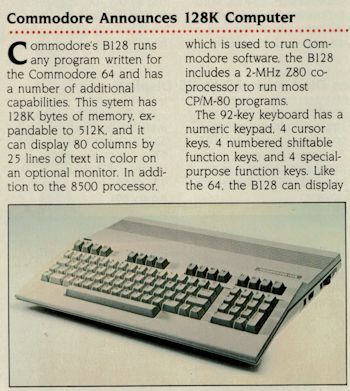 Click image for larger view. 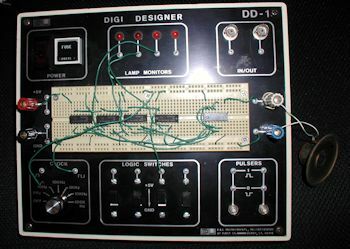 E.L. Instruments Digi Designer DD-1. Click image for larger view. 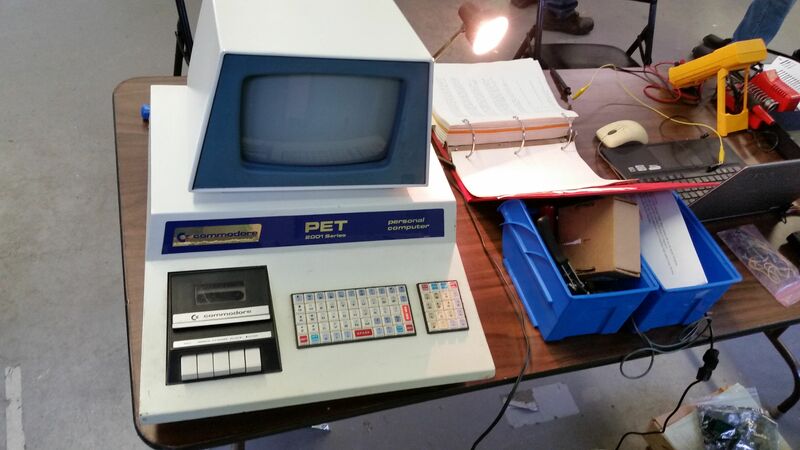 I spent most of my time working on a sick PET 2001-8. 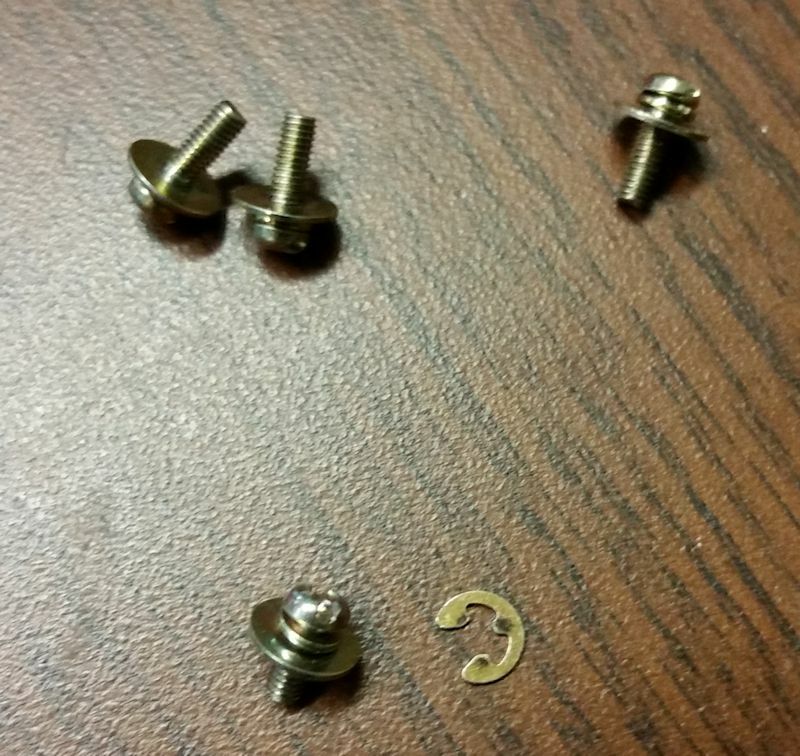 The display board failed. Click for larger view. 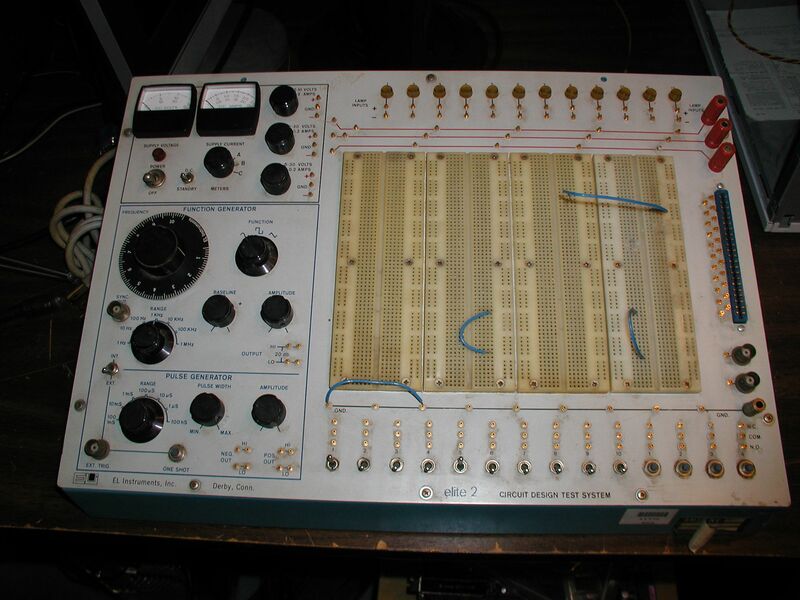 Pic of the friend resistor. 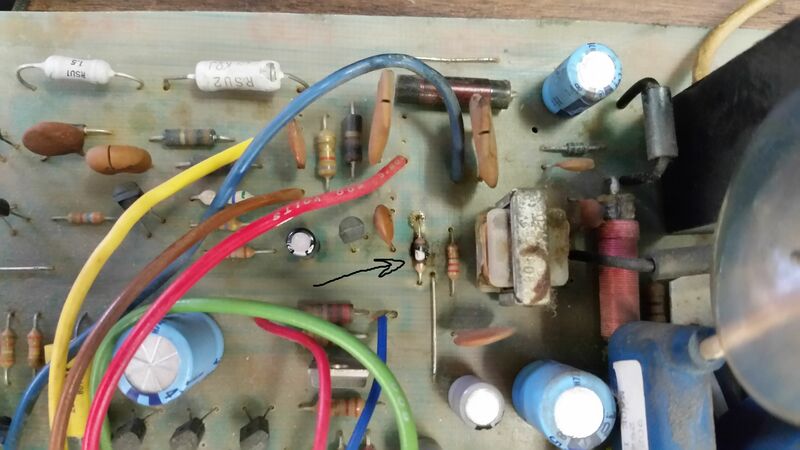 I replaced this component, but we did not have a TIP29 that I think was the reason the resistor fried. 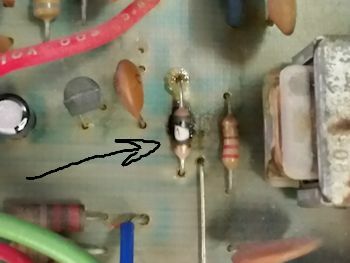 This resistor has been replaced before. Click for larger view. industrial/11 with frozen front panel after attempting to load UNIX without a working EIS controller card. 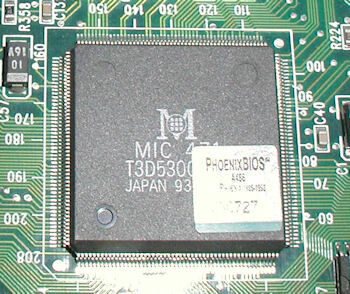 The KE11-E Extended Instruction Set (EIS) is required for UNIX 6. 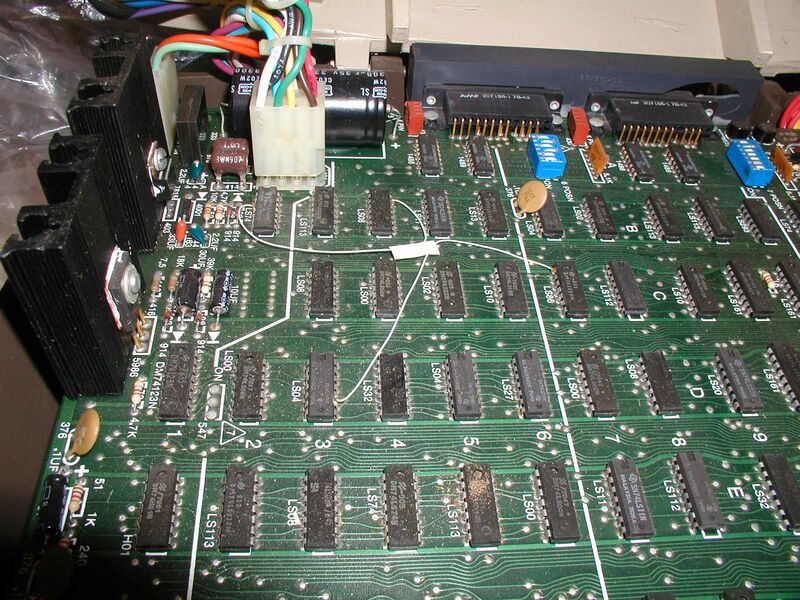 I set the jumpers on the M9312 card to use the CONSOLE program. 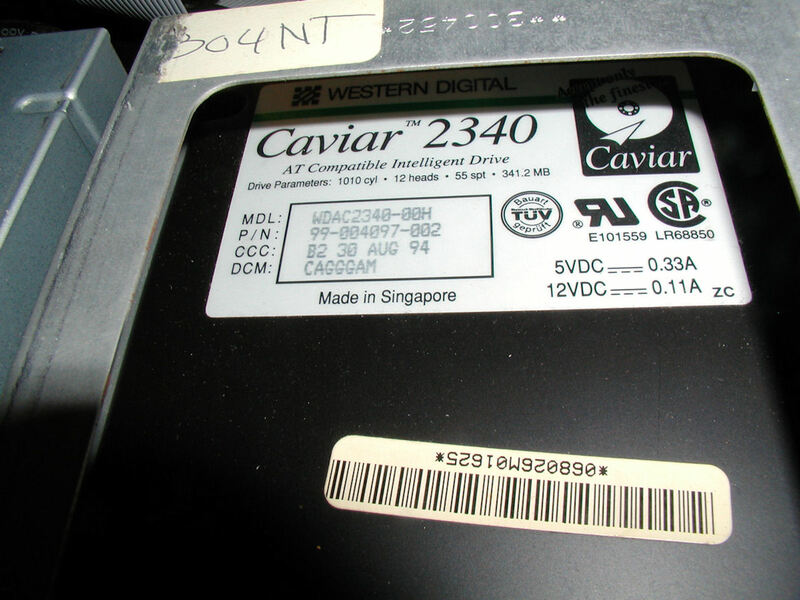 The CONSOLE is a monitor program that allows a person to load a RAM address, change memory, load and run programs rather than have to rely on the front panel. 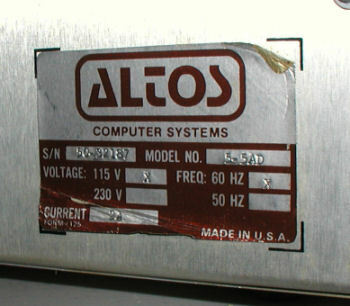 This image shows the echo character program from the manual. 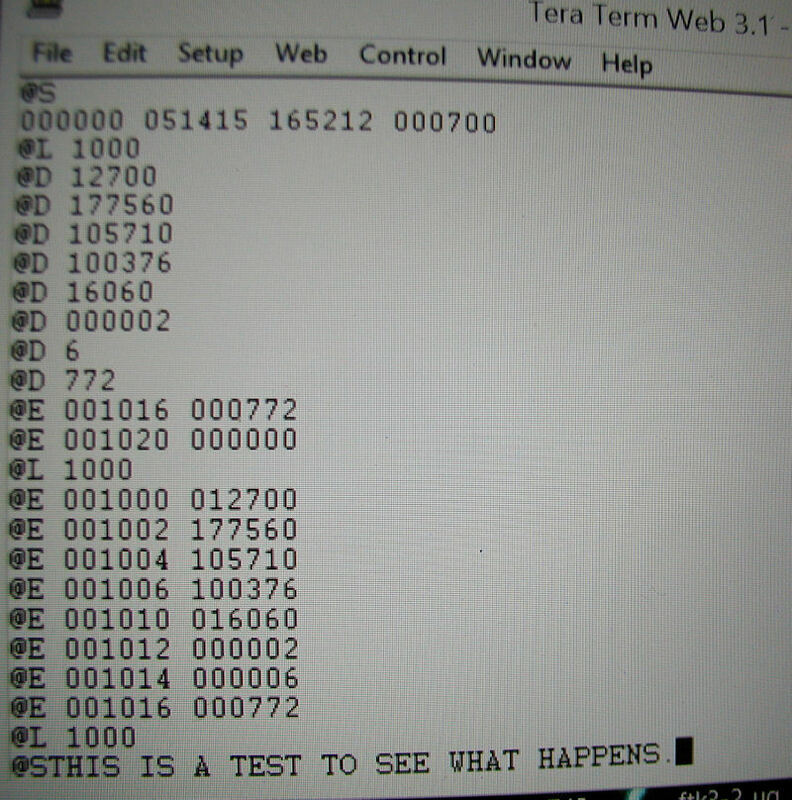 The last line reads: @STHIS IS A TEST.... @ is the prompt, S is the start command. 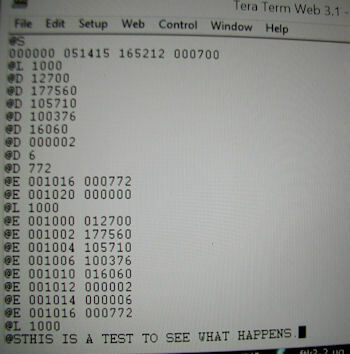 I then typed THIS IS A TEST, without a LF CR. Click on image for larger view. 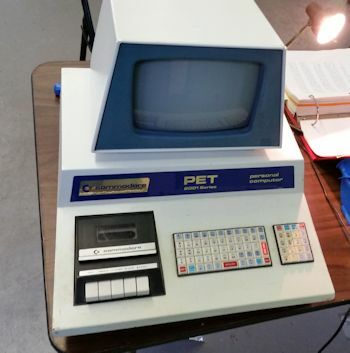 PDP 11/40 in chassis with rack arms extended. 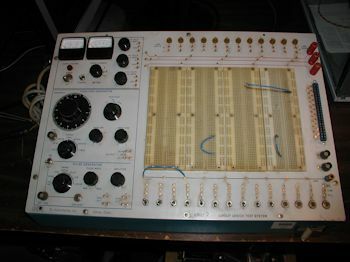 RL02 sitting on top of rack. 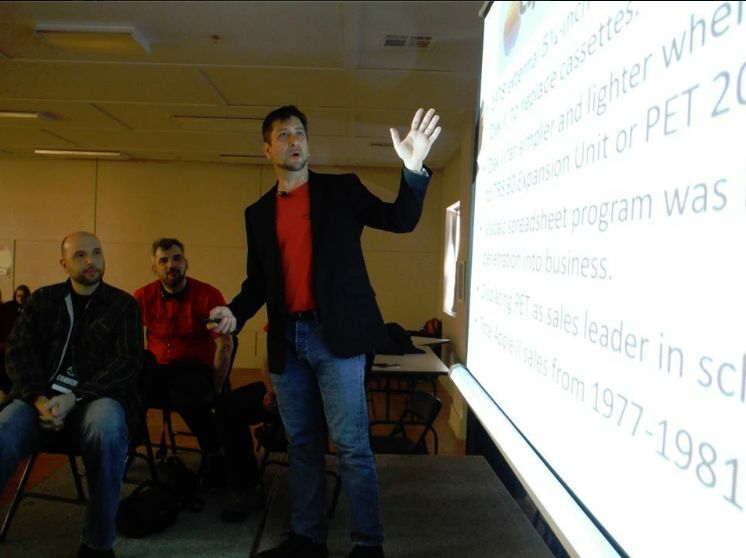 Click image for larger view. 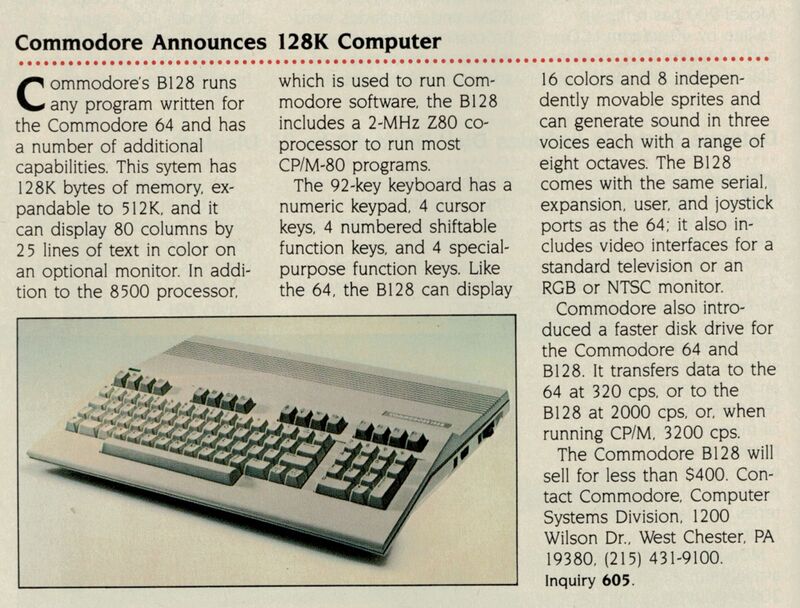 Notice anything wrong with this February 1985 product announcement, in Byte Magazine? Here is your hint. Click image for entire announcement.